HDFC Life & Max Life Merger - Will Shareholders Benefit? Max India, which owns the hospitals etc. Max Ventures, which owns some film manufacturing business and all that. Now MFSL was effectively the only listed insurer. So the merger with HDFC Life is a well-thought-out decision which will make HDFC Life into a “listed” stock, with no need for an actual IPO. What happens with the merger? First, let’s assume you own 1500 shares of Max Financial (MFSL). At today’s price of 515, they are worth Rs. 772,500. So somehow you need to get yourself to still be worth Rs. 772,500 after this deal. Now, Max Life is merging into MFSL, its parent. There are other shareholders in Max Life – the foreign insurance partners. They will get shares in MFSL – 1 MFSL share for every five shares of Max Life. MFSL owns 132 cr. shares in Max Life, which is 69.01% of it. Meaning other owners of Max Life own 29.99%, which means they own 59.47 cr. shares. They will get, at the 1:5 ratio, 11.89 cr. shares. MFSL currently has 26.70 cr. shares. After the merger with Max Life there will be 11.89 cr. shares issued, taking total shares issued to 38.59 cr. shares. This is a 44% dilution of Max Financial Services. Then, the whole shareholding goes into some level of turmoil. Every shareholder of the new merged MFSL gets seven shares of HDFC Life for every three shares of MFSL. Meaning, MFSL shareholders in total will get 90.05 cr. shares in HDFC Life. Of this, the current MFSL shareholders get 62 cr. shares and the other Max Life shareholders get 28 cr. shares. HDFC Life has currently 200 cr. shares outstanding. An additional share set of 90 cr. will give them a total of 290 cr. shares after the issue. There’s more! This is only the Life insurance business going to HDFC Life. The remaining (health and other non-life) insurance business is still held by what is left of MFSL. That bit gets merged into Max India, at the ratio of 1 Max India Share for every 500 shares in MFSL. What About Me? Where Do I Break Even? Since you need to be worth Rs. 772500 after this deal, let’s assume the Max India shares are irrelevant. It’s the 3500 shares of HDFC Life that need to be valued at that much. Each share of HDFC Life needs to be at Rs. 220 for you to break even. What does that mean? HDFC Life, as we have seen, will have 290 cr. shares. It will need to be valued at Rs. 64,000 cr. after the merger for you to break even. A 64,000 cr. valuation seems fair to Mint. The embedded value of HDFC Life is 10,233 cr. and Max Life is 5,850 cr. which will mean a 4x market-cap to EV. Embedded value is the current value of future profits plus whatever they own as their own assets. This doesn’t allow for assumptions like new business that will flow in. So you pay a multiple. How much? 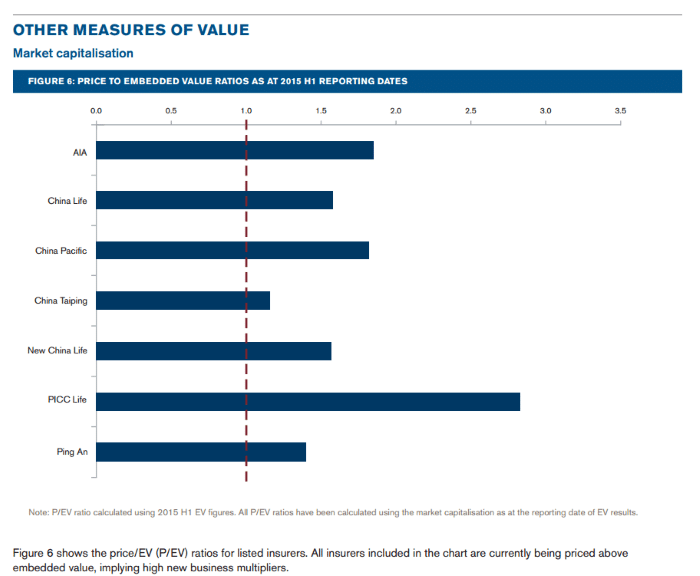 In Europe you don’t pay any premium, and in China, where average insurance penetration is similar to India, we are seeing Price to Embedded Value of 1.2 to 2.8. If the Indian HDFC/Max entity were to quote at 4x Price to EV it would seem a little expensive, considering China’s insurers have way higher margins on new business than we do and growth is higher there. So it’s a little dicey, but India gets a mega premium for nearly everything nowadays, so you can assume that some people might be willing to pay this price, even if it’s expensive. Analjit Singh, the promoter of Max, will get a non-compete fee for 4 years of no-competition, of Rs. 850 cr. This is strange because he’ll continue to own a part of the merged HDFC Life business. He doesn’t lose his ownership, so why the non-compete? The shareholders should ask this question. But the 850 cr. will be paid by HDFC Life, with a 500 cr. upfront fee, and 350 cr. over three more years. Effectively such a deal will reduce the enterprise value of HDFC Life, you would imagine. And If the price to EV is 4, then the market cap of the merged entity will fall by about 3,000 cr. Which is why it’s dangerous for you as a shareholder. Max’s Bank Relationships: Will They Sell HDFC? More than 50% of Max’s business seems to come through its banking channel partners, Axis and Yes bank. Will they be happy to sell what is effectively a competitor bank’s name in the product? The answer is: You have go to be kidding me. They may say okay at first, but eventually they’ll get out of there. Axis is already signing up with LIC for a partnership. With the loss of key banking partners, the new business growth will be stunted. And then, paying this extreme Price to EV may not be justifiable. The Final Thing: What’s It Worth? You have to hope HDFC Life lists at Rs. 220. It’s much higher than the values being paid for equivalent insurers elsewhere; but then this is India and we get a premium for everything. As a shareholder, I would first ensure that the number of shares I have are divisible by 3. Otherwise I lose some fractional entitlements initially (which will be paid later through a sale of fractional shares). Second, I’ll ask myself if the price of 220 is feasible. If we see a market rout in the horizon we won’t get these valuations. Plus there are threats like the loss of banking channel partners and so on. HDFC – the listed company – will not have HDFC Life as a subsidiary anymore. It will only own 42% of this entity. They might still consolidate it though, but as an associate only. HDFC currently sees about 30% of revenues, and about 8% of its profit from HDFC Life. This process is good to get HDFC Life listed. But will it provide a substantial upside from here for shareholders? In my opinion, no. But hey, that’s just anti-national of me. Disclosure : No positions. This is not advice.